ProNES 7800 GamePad Adapter - osman - Info? The NES to 7800 adapter I saw on the Rikki & Vikki review from the 8-bit guy had NES game pad to 7800 adapters. Has anybody bought these from somebody or made them personally? or a post from the Rikki and Vikki thread comes up about someone else wanting them. That site has Gerber files to make the pcb, but programing micro-controllers is out of my wheel house. Ah, this crazy thing is my design. These were made for members of the Rikki & Vikki development team and also given to reviewers as a bonus item. Unfortunately they're not available for purchase, I only made around twenty of them by hand and those are nearly all gone. I'm currently working on a Segafied and simplified version which is a little more DIY (doesn't require any microcontroller), and will offer the same feature set with emulation of one or two-button joysticks. Once these are ready, I'll release the design for free and make a new topic here. Edited by TailChao, Sun Mar 17, 2019 6:55 AM. These were made for members of the Rikki & Vikki development team and also given to reviewers like as a bonus item. Unfortunately they're not available for purchase, I only made around twenty of them by hand and those are nearly all gone. I'm currently working on a Segafied and simplified version which is a little more DIY (doesn't require any microcontroller), and will offer the same feature set. Once these are ready I'll release the design for free and make a new topic here. The Sega adapter has been beat to death and many flavors are readily available on the market. The NES one you have going here would be more appealing to more people to purchase I'm sure, if that was what you where looking to do. The Sega adapter has been beat pretty far, but not to death. What's available only emulates Atari's two-button controller setup, whereas the ProNES (and upcoming ProSMS) have switchable one or two-button joystick emulation. They're also more likely to work if some of the input circuit is damaged (especially Q5, Q6, or Q8). This is basically the "bling" version, so if you're happy with the current SMS or Genesis adapters there's little reason to upgrade. I'm not looking to sell these, and really don't have the resources to mass produce them alongside a game. So at least for now they're strictly a DIY option unless someone else would like to sell them (which is totally fine). An option for a DIY of that NES adapter would be something I'd personally be interested in buying if that means anything. If you do change your mind, I'd also be interested in purchasing a couple of the NES adapters, assembled or not. My micro-switch converted Advantage would work great with R&V. A bog standard Edladdin adaptor with a cheap-and-awesome Genesis Asciiware Powerclutch stick works wonderfully, if you don't want to wait. Skip the genesis pads. 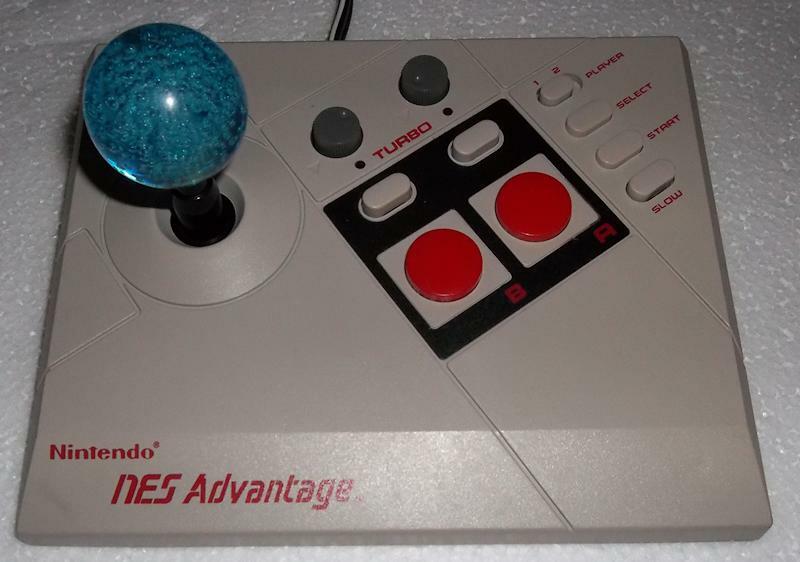 These sticks work better than the NES advantage IMHO. Well sure, but this is no ordinary Advantage. The return spring tension has been adjusted to my preference. The friction ball has been lubricated. I swapped out the stick's rubber dome pcb(the domes were long ago crushed) for one upon which I installed tac switches, giving nice feedback(but not clicky,) and reducing the throw by about a millimeter in each direction. It's a much more accurate and comfortable option now IMO than the basic NES controller. But I'm not much of a dpad person. Edited by ave1, Sat Mar 30, 2019 5:43 PM.